I was born and raised in the Midwest, so when people go out of their way to roll out the welcome mat, I take notice. It’s not that Miami (where I live now) isn’t full of friendly folks, I just think it has to do with the size of the city. Okay, who am I kidding? Miami has it’s fair share of rude people. It doesn’t change my love affair with the Magic City one bit. On a recent trip to Amelia Island, I was struck by the level of authentic Southern hospitality. It makes sense geographically, since the island is truly part of the south and borders the Georgia state line. 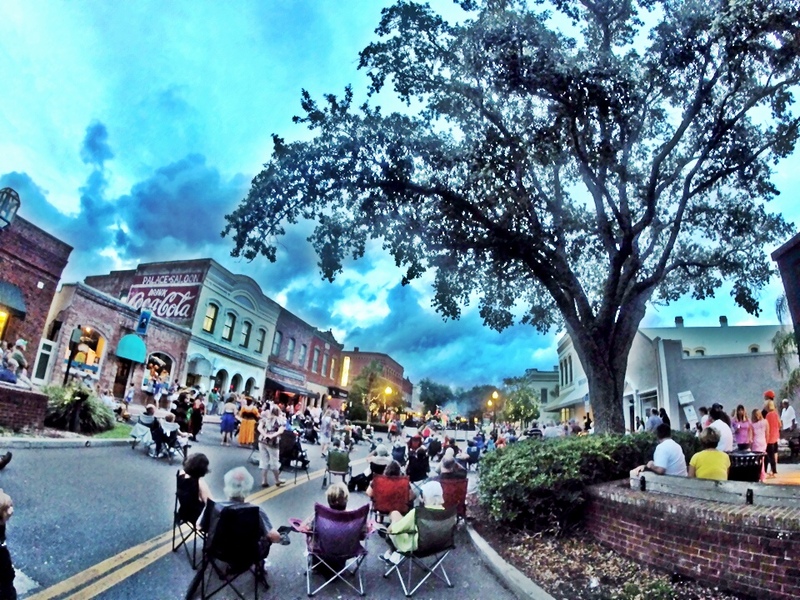 Nestled on the north end of Amelia Island is the Historic District of Fernandina Beach — a 50-block area that’s recognized on the National Register of Historic Places. The town celebrated its 200 year anniversary a few years ago, as it was originally established in 1811 and named for King Ferdinand VII of Spain. The streets are lined with quaint shops and historic homes; many now operate as bed-and-breakfast inns or sidewalk cafés. My husband and I happened to visit on a Friday evening, when the streets were filled with locals — some dressed as pirates — listening to a live band. We strolled along the tree-lined streets, enjoying the ocean breeze and the laughter of families as they swayed along to music. I spotted a store called Christmas on the River on Centre Street and persuaded my husband to go in with me; we like to pick out a Christmas ornament that at each of the places that we’ve visited. We chatted with a local woman inside who told us that dressing up as pirates is a way of life for some people in the area and it’s how they pay homage to the unique history of the town. Very interesting. We picked out an adorable wooden crab with Amelia Island lettering (careful not to get a glass ornament since we have a tendency to break those) and then set out for our 8 pm dinner reservation. It turns out that Joe’s 2nd Street Bistro was THE place to be on a Friday night and we were very lucky to have a reservation. The downstairs dining room was packed with jovial locals who had been enjoying the free live concert just steps away — and perhaps a beer (or three) at Palace Saloon, Florida’s longest-operating saloon (supposedly, Adolphus Busch of Anheuser-Busch fame helped design the bar in 1903). Mari, co-owner of Joe’s — and hostess with the mostess — showed us to the best table in the house. With her bright and cheery personality, it’s no wonder that she becomes fast friends with every person that walks through the door. We eyed the menu from top to bottom and with so many delicious choices, finally decided on the prime rib special for me and shrimp and grits for the hubby. We washed it all down with a great bottle of red wine and finished with a delectable chocolate dessert. Owner and husband to Mari, Executive Chef Ricky stole the night away with his inventive yet home-style cooking. Using local ingredients and building each of his dishes from scratch, Chef Ricky rocks it in the kitchen. After chowing down and loving every minute, he enlightened us on the history of the restaurant. Of course, my first question was: who is this Joe fellow? It turns out that Joe was the previous owner and opened his restaurant in an old 1900s-style home decades ago. Interestingly, Joe commissioned Ricky’s father to create the artwork that is still found today throughout the dining room. When the restaurant came up for sale, Ricky and Mari jumped at the opportunity to purchase it. Not only did they embark on the dream of opening their own restaurant on Amelia Island, they also become owners of the artwork that Ricky’s late father had created so many years ago. And the name? Well, it was already a hotspot and well-known throughout the town, so why change a good thing? After enjoying a fabulous meal, as well as Ricky and Mari’s generous hospitality, my husband and I called it a night and headed back to The Ritz-Carlton, Amelia Island. We had a message waiting for us in our hotel room. It was from Chef Ricky. We had forgotten the Christmas ornament and accidentally left it at his restaurant. He drove to our hotel to bring it to us. Two words: blown away. Here we have this amazing executive chef and business owner, who showed us a wonderful time at his restaurant and then he hops in his car and brings us something special that we had left behind. That’s the kind of genuine kindness that Fernandina Beach and Amelia Island are known for. Now that little crab will hang on our Christmas tree and every year we’ll remember the friendly and generous people that call Fernandina Beach home: especially Chef Ricky and his wife Mari. 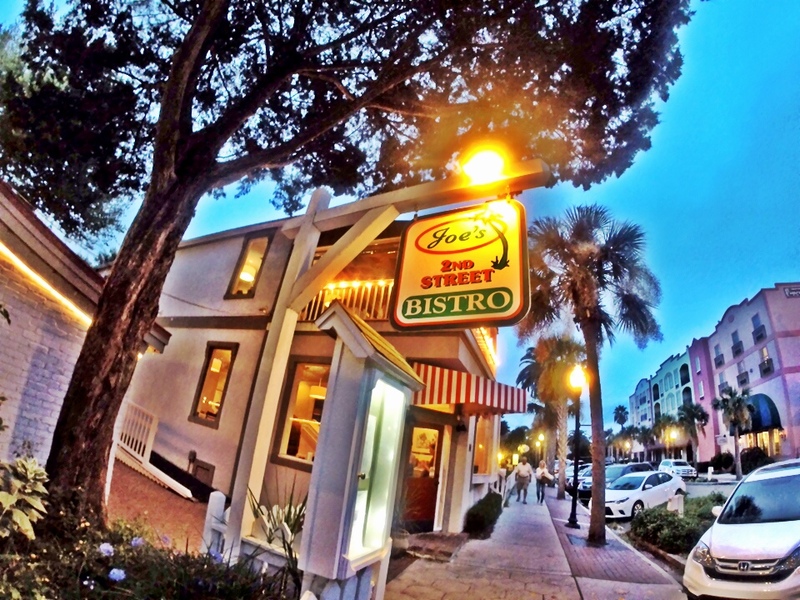 If You Go… Joe’s 2nd Street Bistro is located at 14 South 2nd Street. For more info, call 904-321-2558 or visit JoesBistro.com. You can also find the restaurant on Facebook. For help planning your Amelia Island vacation, visit AmeliaIsland.com.